Gayways the garden machinery and service business based in Harrow, North London has won the 2018 Garden Machinery Dealer of the Year Award and also the Overall Dealer Of the Year Award. 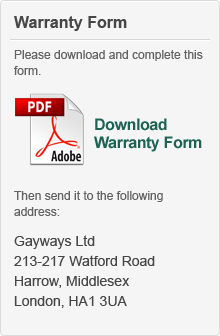 The Awards were announced and presented to Gayways at the annual Service Dealer Conference and Awards on 15 November. The Garden Machinery Dealer of the Year Award was presented by Ken Brewster, UK sales and marketing director from sponsor Husqvarna. And the Overall Dealer of the Year Award was presented by Des Boyd, Sales Director of sponsor Kramp. 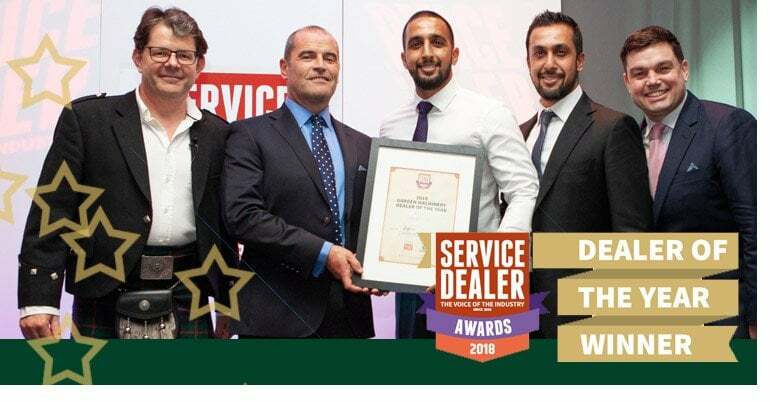 The Awards, organised by the leading business magazine Service Dealer, are now in their 15th year and recognise outstanding sales, service advice and support by dealers in the garden machinery, professional turfcare machinery, farm machinery, forestry equipment and ATV/Quad industry. Steve Gibbs, Editor of Service Dealer magazine, said, " The extremely high quality of all our winning dealerships and individuals this year, is clear for all to see. Customers across the nation have inundated us with incredible feedback regarding the levels of service they have received. 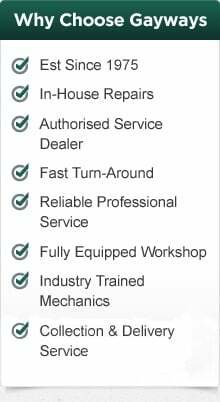 This end-user experience is only possible when using your local, specialist machinery dealer."